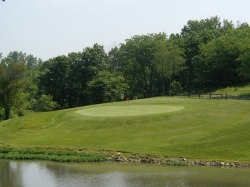 Fairway Inn - Enjoy a round of golf. The Kodaiknal Golf course is the only biodynamic and organic golf course in the world where toxins like pesticides and insecticides are totally banned on its premises. The course is maintained by biodynamic planting techniques. The aroma that permeates is one of camphor not DDT! The birds, deer and wild gaur love the environment and are frequent visitors. The streams and other water bodies on the course are pure. This 18 hole golf course offers a stellar year round climate for golfers to learn the game from experienced coaches in a perfectly environment. Those who fall in love with this course sometimes play 3 rounds a day! We arrange for golf equipment and personalized one on one coaching sessions by a golf teaching professional as well as book tee times for our guests. Fairway inn is about a two minute walk from the golf course.